This is the final part of our series: Pipedrive's Big Sales Interview. If you haven't already, you can read part three, part two, or part one of the series and catch up now. Richard Harris was born to sell. When he was growing up, both his parents were salespeople: his father sold insurance, and his mother sold local advertising for cable news affiliates. Harris began his own sales career at the age of 11, buying Jolly Ranchers from a high schooler, marking them up and selling the candy to his classmates. Now a sales trainer and consultant, Harris has moved far beyond Jolly Ranchers, but he still loves sales the way he did when he was turning that first profit in middle school. He thrives on the human interaction that comes with selling. 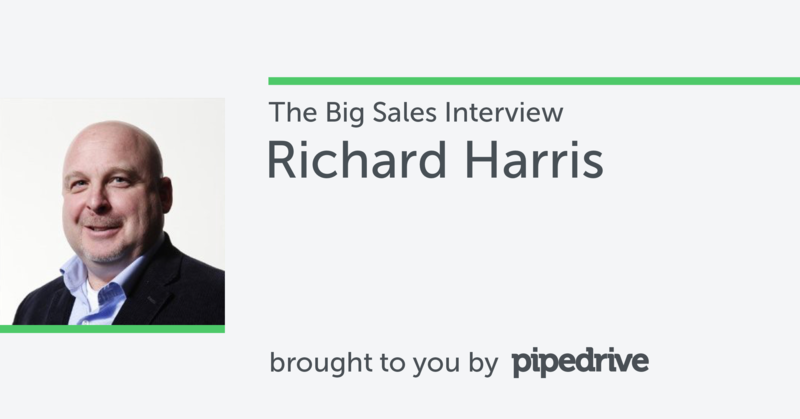 Harris is the latest subject of Pipedrive’s Big Sales Interview, a series of in-depth discussions with thought leaders in the sales industry. The Big Sales Interview is a far-ranging conversation that takes readers beyond each thought leader’s latest book or sales philosophy; and even beyond sales. We ask each leader about their personal history in the sales industry, the mistakes they’ve made, and their favorite sales books. Harris had a lot to say about respect and honesty. We talked about why reps must earn the right to ask their prospects questions and how to use a respect contract to protect both prospect and rep. We also talked about the tension that exists between the sales leaders of Generation X and their millennial reps, and how to mitigate those problems. My name is Richard Harris. I own the Harris Consulting Group, and also partner with Sales Hacker as their director of sales training and consulting services. 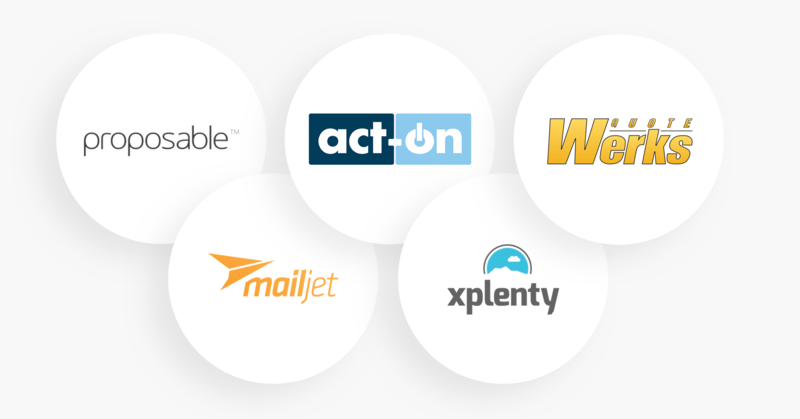 I'm known as a sales trainer in the inside sales space, particularly with the SaaS movement. I think I'm well-known there, although you'd have to ask others. My goal has been to teach reps how to earn the right to ask questions, and then make sure they know how to ask the right questions and which questions to ask. The other thing I'm known for is my sales methodology and philosophy of NEAT selling, which focuses on understanding the Need, the Economic impact of that need, that sales is no longer about authority but Access to authority with the number of decision-makers that are now involved, and of course, Timeline. How did you get into sales? What was your first sales job, and what did you learn from it? The Gap was my first job in high school. I was 16 years old and I still remember how they trained us, it was called GAPACT: Greet, Approach, Product knowledge, Add-on, Close, and Thank you. That was my first sales process. I loved it. First of all, this was circa 1985, and it was considered trendy and I always got good discounts on the clothes. I liked the social aspect of it. I learned that in retail, it's easy to sell because your customer finds you. They're inbound leads, right? That's what retail is. I also liked the ability to add on in what I felt was a non-threatening way. My opinion was, if someone walked into my store, I had every right to sell them something. We were taught to say, "Hey, have you seen this new thing? Have you seen that new thing?" It really gave me the ability to, when people say, "No thanks, I'm just looking," sidestep that objection and go, "Okay, no problem, but have you seen this? Did you know this?" For lack of a better word, it taught me to add value early in the sales process. Can you describe your core sales philosophy, your “difference maker,” in one or two sentences? It's about encouraging an authentic dialogue between two parties with enough mutual interest to go into discovery. How did you develop that philosophy? Was there an “aha” moment? Probably, like most, through trial and error. You know, I've read Sandler Rules, I've read The Challenger Sale. They both speak to me in different ways, but nobody talks about just having an honest dialogue as much as I would like. I think Sandler probably comes the closest. So for me, it's just, how do I have an honest dialogue? I think that's what counts. And I think even better than the word "honest" is "authentic." How can we have an authentic conversation? Salesperson is a laden term. When did you first 'own' that label, and what makes you proud to sell professionally? That's a great question. This is the advice I've given to other people: You have to give yourself permission to like being a salesperson. If you can't give yourself that internal permission, you're going to be be miserable. I see this a lot, particularly with customer success. In my opinion, customers success [reps] are almost always better salespeople because they're better at listening than real salespeople. Their challenge is, they've been taught that "sales" is a dirty word. And once they go through the training to understand what they're really trying to accomplish on a psychological level, they actually start to embrace that side of sales. Someone who cares enough about whatever it is that they represent, that they want to share it with the world in a meaningful and authentic way. And yes, you can care about making money. You can care about winning and losing. But it's how you do it that matters as much as what you do. I think that can be said for a lot of roles, not just sales. What kind of person makes a good salesperson? They’ve got to have courage. You know, if I'm talking to a 22-year-old kid who's just out of college, they have a certain level of courage, even if they don't know it yet. They have to be able to stand up for themselves. That doesn't mean I'd beat them down to see if they can stand up; I'm just looking to see where they stood up for themselves in their life. I think the next thing they need is confidence. If you have courage and confidence, to me, that means you're competitive. If you've got the courage to do something, and the confidence to do it, you'll figure it out. If you have courage but no confidence, it doesn't work so well. If you have confidence but no courage, well, that typically means you're a jerk. I need to know that they can be coached. They're always asking about mentorship or advice. When was the last time they took someone's advice, and when's the last time they didn't take someone's advice, and what worked? They need consistency; they have to be able to follow a process. And compassion, not empathy. For me, compassion feels more authentic than empathy. You can fake empathy. I'd have to say just going out on my own as a sales consultant, taking an idea and a philosophy and turning it into a business that I've been running for four years now and can support my family. Being willing to try that was probably my greatest accomplishment. I was let go from a company called Mashery because they were bought by Intel. A few months after that, I hadn't landed a new gig yet, and someone called me and said, "Can you help me?" And I said, "Sure." So all of a sudden, I had this gig in Austin and I was a consultant. The next thing I knew, on my first week flying back, I sat on an airplane next to this guy. He's coming back from Austin and San Francisco. Guy's in jeans, blazer, and suede shoes, and I'm like, this guy's gotta be a startup guy. Nobody leaves Austin on a Friday night unless they have to. Sure enough, it was Nick Mehta from Gainsight. Nick and I had a two-hour conversation talking about what I did, showing him what I did, and we got shushed by the stewardess for talking too loud - which, for two guys, is pretty unheard of on an airplane. So all of a sudden, I had two clients pretty much back to back. Each paid me for 30-day engagements, you know. And I picked up the phone and called up a friend of mine, named John Barrows, who's a well-known trainer in the space. I said, "John, what do you think?" He said, "If you're asking me do I think you can do it, yes, I know you well enough to know that you should do this and I think you'd be very good at it." So I really give a lot of credit to John Barrows for sort of just giving me that last little piece of approval to go try. Oh God, patience. Patience is not my virtue, but I've learned to be a little bit more patient. Another one I'm still working on is keeping my mouth shut. Shutting up is a very important part of sales. This is why I think customer success people are better than salespeople, because they have a natural inclination to listen. Salespeople have a natural inclination to talk. That's not necessarily the thing you want in sales. I think I'm constantly working on asking "Why?" a lot more, which is, for lack of a better word, discovery. Better sales leadership. I think you need better sales leadership and leadership coaching more than you need better salespeople. If you do better leadership coaching, you'll get better sales training. Too much of the sales leadership is just “shut up and do it,” which is how I and other Gen Xers were brought up. And it's because the Gen Xers were never taught how to sell. Therefore, they don't think they should teach their own reps how to sell. Too many Gen X sales leaders are simply jealous of the millennial generation and its time they grew up and learn to manage. How do you advise those leaders to handle their jealousy and properly lead their teams of millennials? Well, once I see or hear the epiphany occur, then I say, "Okay, so now that you understand where that's coming from, are you open to adjusting how you've been doing it?" And one of two things happens. Some people will be like, "Yeah, give me some more advice." Others will say, "Nope, I don't have the bandwidth, but I agree with you." I can't help that person. I don’t know what else to tell people who don't understand that they need to spend time with their sales reps. Too many sales leaders are stuck behind their computers and in meetings. That's not sales leadership. Probably BANT: Budget, Authority, Need, and Timeframe. Nobody starts with the word 'budget'. I don't know any 22-year-old kid who is going to get on the phone with a company of 500 and more employees and ask that VP of sales, 'What's your budget' and do it eloquently, without fear. You have to earn the right to ask that question. You talk a lot about the 'respect contract'. How does it work and why open a conversation with a respect contract before you get a prospect into the funnel? I’ve got to give credit to Sandler Sales for the respect contract. They call it an 'upfront contract'. I changed it a little bit because I felt that as I was working with more and more millennials, an upfront contract is a very demanding thing for them. Their biggest fear is that they put their prospects so high up on a pedestal that they're out of reach, and then they're afraid to say anything negative to this person. So I was thinking, well what does that mean? You know, and I thought about the things that leaders have said to me, is like, "Come on, act like you've been there before. Your time is just as valuable as their time". Well that’s a great movie speech — "Your time is as valuable as theirs. Act like it." — but how do you teach a sales rep that their time is just as valuable as their prospect’s? And what really came back to me was self-respect. I wanted to teach millennials how to respect their prospect and themselves equally. It really has taught me, and others, that by laying out the aspects of a respect contract, you level the playing field immediately. Isn’t it a mistake to allow prospects the opportunity to walk away? You asked, is it okay to let your prospects say no early? That's only part of the contract. The other part of the contract is that I could walk away too. Every person I know goes, "Yes, I will gladly do that." And then I say, "If you ask me for something that I don't do, I will gladly tell you that is not my strength. And more importantly, if I don't do it, I'll try and tell you two people who do." So now, I've got the ability to walk away just as much as they do and it's on my terms. And later, when that person goes dark, instead of saying "Hey, I haven't heard from you in a while. I just wanted to see what was going on," you can now be very direct with them. Now, three months later, you can break up with them. You can say “When we first spoke, we both agreed if it wasn't the right fit, we'd let each other know and there would be no hard feelings. Have we reached that point?" If they say, "Yeah, we've reached that point" well, you actually feel better because you actually broke up with them first. That's how it works. That's why it works. The most important thing is that it protects your heart. As a salesperson, we get emotionally jarred when we lose a deal. So if I can lose the deal, but do it on my own terms, I'm much happier and I can move on to the next deal, psychologically, and emotionally, and physically. When you look back on your early career, what one thing would you have done differently? How would you approach it now? I would have read more. I think that the biggest challenge with the Gen X crowd is that we were taught to shut up and do it, not shut up and learn. That didn't exist for us, right? So if I had been wiser, I would've read more books. There's a couple of them, but I think The Sandler Rules is a great starting place. I'm also a big fan of The Subtle Art of Not Giving a F*ck by Mark Manson. It’s all about stopping these false barriers that we put in front of ourselves, these false belief systems which prevent us from reaching the next stage of life. Also, Addicted to The Process by Scott Leese. It’s a great book for anyone wanting to learn what sales is all about. In some cases, for veterans, it’s a good reminder. How important is it for a salesperson not to worry other people? My mom will tell you all the stories about how many times I told her, "I don't care what someone thinks of me.” Like me or don't like me, I don't care. Choose your path. If you don't like me, then we'll avoid each other. If you like me, we'll hang out and have a good time. I stopped worrying about other people very early on. Isn’t competition good for sales? I am probably one of the few people who will say this, but competition is just a surface trait. It can easily be faked and embellished. What I really suggest you look for are people with confidence and courage. I don't know many people who are competitive that do not have both of those traits. However, I have met plenty of sales reps who have one or the other but not both and in that case they were not very competitive at all. It’s pretty easy to say “I shouldn’t care what other people think,” but harder to actually not care. How do you help reps get beyond that? I think the right answer is make sure you know what you care about. If you’re going to tell everybody “I don't care about that,” well then you better know what you do care about. What do you care about? And then how do you make sure people understand that's what's important to you? I care about quality. I care about teaching people the ability to take care of themselves. I joke about this in my training, but so much of sales is just like dating, right? And so much of sales is just like a marriage. There's this constant communication that has to continue; there's always a little bit of negotiation. In a relationship, you might get into a fight. You don't really do that in sales, but you still have to figure out the right way to have these conversations with people that you do care about. I want it to be meaningful. I am very happy with “no,” if I have done my job right. If I've done all I can do, and someone wants to tell me no, that's fine. I don't do maybes. In some ways, I don't want “yes” anymore because there's different kinds of “yes.” Like the “yes” when someone is agreeing with you just to placate you. My biggest thing is that if I do my job right, and I ask intelligent questions, and I acknowledge the places that I'm good, and I acknowledge the places that I'm not, it leads to an honest dialogue, and I think that's what I really want in sales.